Diamond giant De Beers is packing up its Toronto headquarters and hitting the Trans-Canada highway for Calgary. Diamond giant De Beers is packing up its Toronto headquarters and hitting the Trans-Canada highway for the Prairies. The company decided it needed to be closer to its mines in the Northwest Territories and chose the Calgary airport as the site of its new corporate office. Executives considered Edmonton, Vancouver and other locations, but decided Calgary was the best fit because of its skilled work force, staff retention rates, costs, and logistics. A discount on real estate because of the oil downturn also helped. "We looked at a lot of options across Canada," said Kim Truter, chief executive of De Beers Canada. "Calgary came out the winner, especially on the logistics aspect because Calgary is the logistics capital of Canada." It's relatively rare for a Toronto-based company to move to Calgary. Business leaders say it will provide a symbolic boost to the city, which is experiencing a sluggish economy and downtown office vacancy rate above 20 per cent. "It's been a long time since it's happened," said Mary Moran, president of Calgary Economic Development, who suggests other companies will take a more serious look at relocating to the city following the De Beers announcement. "This is really important," she said. "We're a globally connected city, we have a highly educated workforce here that has exploration experience." Some of the new hires are from the oil and gas industry. The Canadian head office for the global diamond mining and marketing company has a staff about 65 people. It operates one mine in northern Ontario and has two sites in the Northwest Territories. The move is part of a restructuring process. 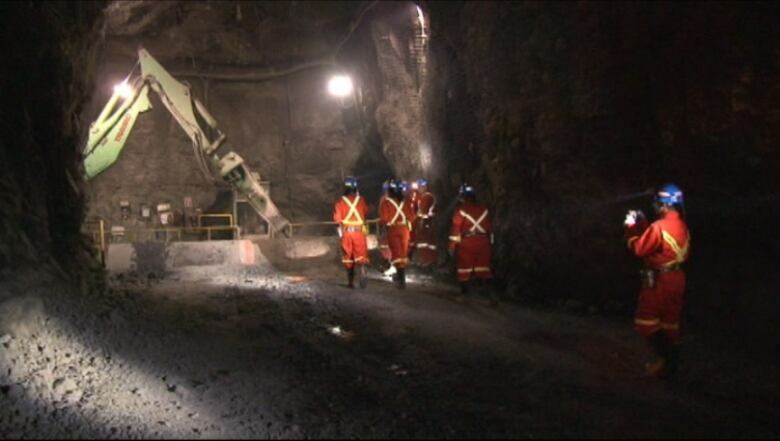 It's shutting down its underground unprofitable Snap Lake diamond mine, which is 220 kilometres northeast of Yellowknife. Later this year it's opening up its much larger Gahcho Kué project, located about 280 kilometres northeast of Yellowknife. The company employs about 1300 people after it cut its workforce by about 750 during the last year. The company describes Snap Lake as a technically challenged project which was always financially challenged. "It's been a troubled project from day one," said Truter. De Beers produced about 1.8 million carats in Canada last year, a figure which is expected to increase to about 3 million when the new Gahcho Kué project is operating.